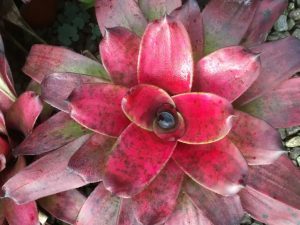 Every bromeliad grower soon discovers that their plants can become affected by the tiny black hard crusted scale which is aptly described by its common name. 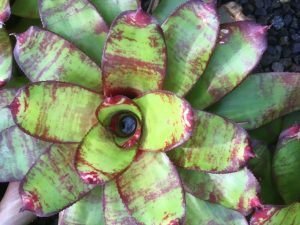 New members need to keep a watch out for it especially down around the leaf sheaths of the plants. The scale does not do much damage but the plants infested with the scale cannot be sold at our meetings or at our Shows. It is not fair to release infested plants on unsuspecting members of the public. 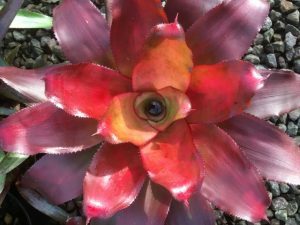 Questions are being asked again by a number of growers on how to treat this pesky little bug which if left can get out of control and make bromeliads look ugly and make them virtually unsaleable. The questions have come from new growers and also from those who cannot buy David Gray’s granular insecticide locally. First of all please note that it seems that the granular insecticide mentioned may still be available in areas outside the Sunshine Coast because of distribution hiccups. So if travelling outside the area try to buy it and let the members of the Committee know the result. Two products are available at hardware stores and nurseries around the Sunshine Coast. They are bottled by Superway Garden Products, Beerwah, Queensland. Superway dimethoate 300 available in 125ml, 250ml, 500ml and 1 litre packs. (This is the same as Rogor and is a systemic insecticide). 2. Superway Grub, Ant & Pest Controller, available in 250ml Chamber Pack and 500ml (Chlorpyrifos). 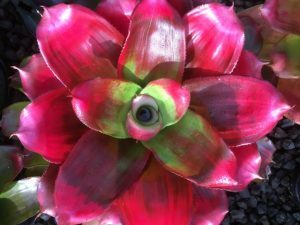 Previous experience by bromeliad growers have found the active ingredients in the above products effective in controlling the fly speck scale. Spraying in Spring and Autumn is suggested. Do not expect the scale to drop off miraculously. The insect is killed but the hard scale does not come off by itself. PLEASE ALWAYS FOLLOW THE INSTRUCTIONS GIVEN ON THE PACKS WHEN USING CHEMICALS SUCH AS THE ABOVE.